I attended a lawyerly function yesterday at the Intercontinental Hotel, and the customized menu was superb. There was an Asian theme for the association's 25th anniversary. Thought I would share the beautiful presentation of the food with everyone. 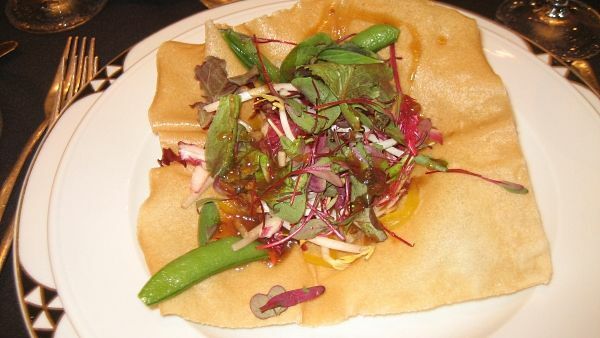 Salad: Asian greens with snap peas, bean sprouts & firecrackers on top of crisp fried wonton. Sesame garlic dressing drizzled on top. The salad itself tasted a little too raw for my liking because of the sprouts, but I ate the whole fried wonton skin. I'm a sucker for that fried goodness. 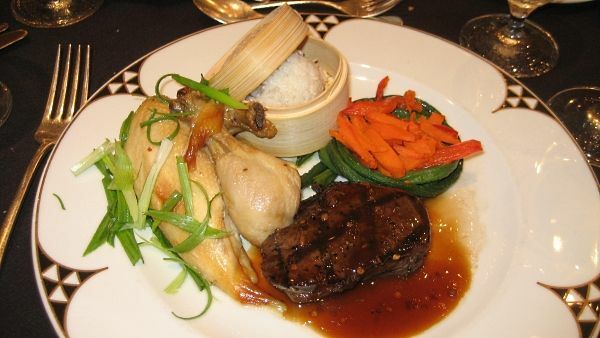 Entree: Petite filet with teriyaki glaze. Braised chicken in orange sauce. Long beans & Asian julienne vegetables. Steamer basket of rice. The steak was super tender and tasty! 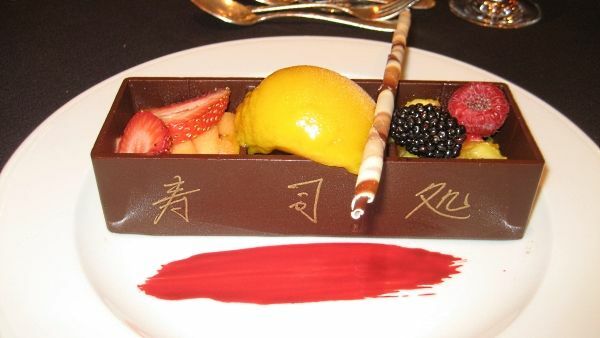 Dessert: Chocolate bento box with mango sorbet and fresh fruit. This was an amazing dessert! The sorbet tasted exactly like frozen mango, and I would have eaten the entire bento box if it wasn't for a friend distracting me.